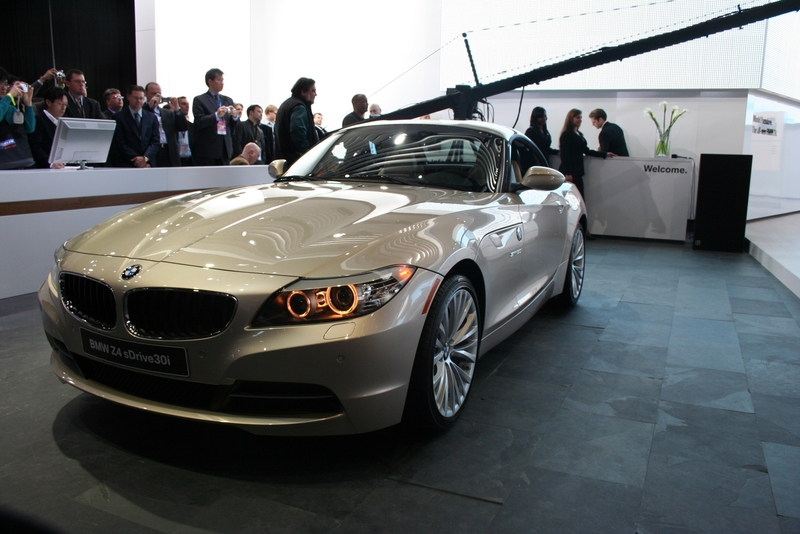 The 2009 BMW Z4 has been unveiled just minutes ago at the Detroit Auto Show. As expected, a large audience was present for the World Debut of one of the most awaited BMW vehicles in the last years. 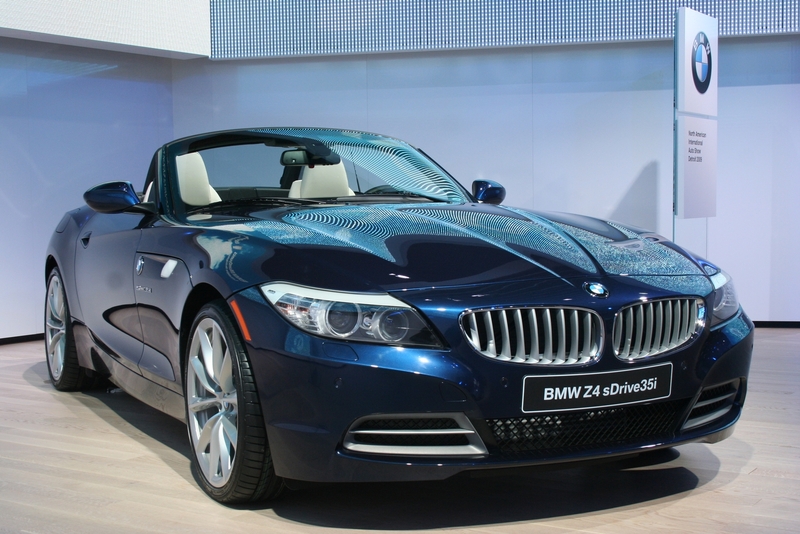 Designed by a team formed mostly of female designers, the new 2009 Z4 is BMW’s bet for this year. As Dr. Klaus Draeger, BMW’s Chief of Development, said, the new Z4 was designed with the US market in mind and mostly for the US market. Of course, Germany, UK, Italy and Japan will plan an important role in the global sales. The new Z4 is everything you thought it is and MORE, the first impression of the car was elegance, classy and reinvented. From the flame surfacing to the two side creases coming from the back of the car all the way to the front, the Z4 sets a new standard for BMW and for any future competitor roadsters. Another crease starts behind the door handle and moves up towards the A-pillar, where it starts to run through the hood towards the nose, outlines the inner edge of the headlight cluster and it ends at the lower outer corner of the front grille. The central creases are sharper and ending before reaching the hood front cut line, forming a small V shape that surround the BMW roundel. As seen in the press photos, the BMW logo sitting on the bumper rather than a hood, it’s a nice touch and well integrated into the front design. The inner edges of the headlights are pointy and sharp, with a bit of CS Concept in there. The front-end is all about the “new shark” and if you were worried about the front-grille being too large, don’t even sweat it. It is perfect for the wide front end without giving the impression of oversize. The rear end is designed just any roadster should be designed: short but massive. The lid and the trunk with the integrated braking light are just some of those details that could not be overlooked. Based on the CS Concept and the Z8 models, the new interior designed by Miss Nadia Arnaud is without any doubt the best BMW interior design to date. The driver-oriented dashboard makes its comeback as seen in the new 7 Series as well, and it is an upgrade from the flat dash found in the previous Z4. The design is far from being cluttered, the control buttons have been designed with simplicity and usability in mind, without sacrificing the luxury element. The steering wheel seems to be the perfect size, with aluminum trim integrated within and “sportiness” written all over it. There were two cars on display, my favorite, Deep Sea Blue and the Orion Silver. Which one do you think it stands out? The gorgeous Deep Sea Blue, a color that I would love to see on some M models. That’s it for now, but I have more information that I acquired while talking to Juliane, Nadia, Manfred Porschenrieder and Adrian Van Hooydonk.